Radiohead have shared a short video set to the music of “The Numbers”, a track taken from their latest album A Moon Shaped Pool. 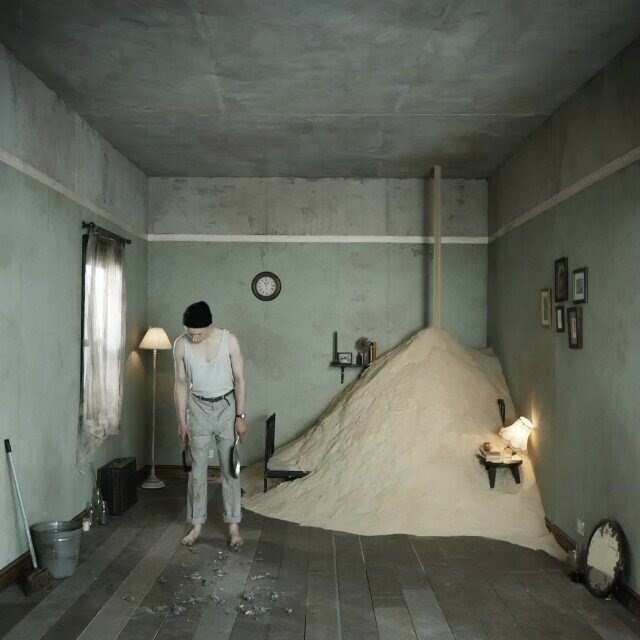 The clip, directed by Oscar Hudson, depicts a man sweeping up a room as sand pours in from the ceiling above, with the camera remaining static throughout. Although the 15-second video resembles the teasers they shared for previous singles “Burn the Witch” (a stop-motion animation about xenophobia) and “Daydreaming” (a Paul Thomas Anderson-directed walking tour), Pitchfork are reporting that this short clip won’t precede a new music video but is instead an artist’s interpretation of the song. The band seem to be encouraging new artistic responses to A Moon Shaped Pool, as evidenced by the mysterious artworks recently added to their Instagram account. Watch the clip below, and keep your eyes peeled for any new interpreatations in the future.